Romano currently holds the chair of Synthetic & Bio-organic Chemistry of the VU-University in Amsterdam, The Netherlands. He started his academic career at the Agricultural University in Wageningen, the Netherlands, where he studied Molecular Sciences and obtained his PhD in 1994 with prof Aede de Groot on the synthesis of sesquiterpenes. 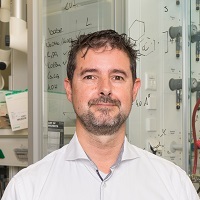 From 1996–2000 he worked as a post-doc and assistant professor in the group of Prof. Kurt Faber at the Technical and Karl-Franszens Universities (Graz, Austria) on Biocatalytic Synthesis. In 2000 he was appointed assistant professor and later associate professor (2003) at the VU University Amsterdam, where he became a full professor in 2007. Romano is now one of the leading players in the field of multicomponent, tandem and diversity oriented synthesis-related chemistry. He received several major research grants from local, national and international funding agencies (e.g. NWO-CW TOP, EU-IMI). Noteworthy are also a NWO-VICI award received in 2005 and two international awards: The Innolec lectureship award in bio-organic chemistry of the Czech Chemical Society (2009) and the Gold Badge for contribution to World Science and Intl Scientific Coll. Of the Intl. Science Partnership Foundation, Ukraine (2012).